The Aztecs demanded tributes from all the smaller neighbouring tribes, and this board game is designed to show how the tributary tribes became discontented with this system. It was this discontent that in the end lead the smaller tribes to support any group of soldiers who were prepared to help them stand up to Aztecs. 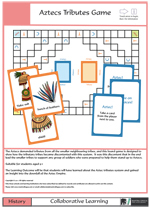 Learning Outcomes: The Learning Outcome will be that students will have learned about the Aztec tributes system and gained an insight into the downfall of the Aztec Empire. Estimating and comparing are two important components of maths and in this activity the pupils look at the angle presented and decide if they are more or less than the angles on the Game Board. At the same time, they can also play collaboratively building up the story of Angle Forest to see if they can save it from destruction. Learning Outcomes: Pupils will know if the angle they see are more or less than obtuse,acute, reflex, right angles or straight line angles. 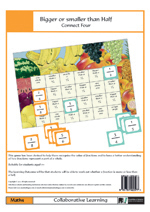 Fractions can be quite daunting for some students, so this game has been devised to help them recognise the value of fractions in a fun way and to have a better understanding of how fractions represent a part of a whole. Learning Outcomes: Students will be able to work out whether a fraction is more or less than a half. 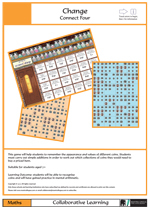 This game was developed to give students a richer level of vocabulary, in a fun way. It introduces some well known similes, and having seen how a simile is constructed students can then be encouraged to develop their own. If you make any interesting changes please send them to the address below so that we can expand our library of resources.Learning Outcomes: Students will have developed an understanding of how similes work and will be able to make up some of their own. 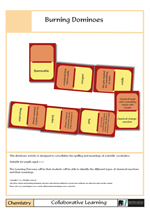 This dominoes activity is designed to consolidate the spelling and meanings of scientific vocabulary. Learning Outcomes: Students will be able to identify the different types of chemical reactions and their meanings. The Great Plague was an epidemic that devastated London and the south east of England between 1664 and 1666. The poor conditions in towns and cities were a major cause of the disease spreading quickly. This game have been devised to consolidate student’s learning of the causes of the plague.Learning Outcomes: Students will have broadened their understanding of the symptoms and cures of the plague. 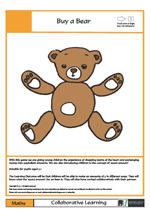 This game will help students to remember the appearance and values of different coins. 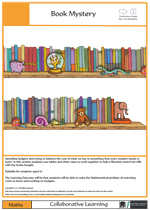 Students must carry out simple additions in order to work out which collections of coins they would need to buy a priced item.Learning Outcomes: Pupils will be able to recognise a variety of maths words and have an increased understanding of their meaning. 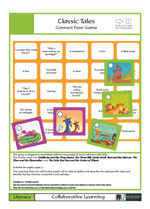 This game is designed to consolidate children’s knowledge of some well-known folk tales and increase their literacy skills. 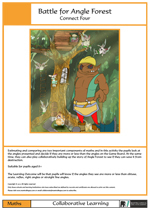 The stories we used are: Goldilocks and the Three Bears; The Three Billy Goats Gruff; Buri and the Marrow; The Elves and the Shoemaker; The Little Red Hen and the Grains of WheatLearning Outcomes: Pupils will be able to define and describe the selected folk tales and identify the key themes, characters and settings. 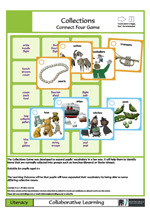 The Collections Game was developed to expand pupils’ vocabulary in a fun way. It will help them to identify items that are normally collected into groups such as bunches (flowers) or flocks (sheep). We have also provided spare blank cards for pupils to add more collective nouns or you could encourage them to make up their own for example, ‘What would you call a collection of computers?’ Learning Outcomes: Pupils will have expanded their vocabulary by being able to name differing collective nouns.